﻿ “Greening” the Military An Issue at Chuck Hagel Hearings? 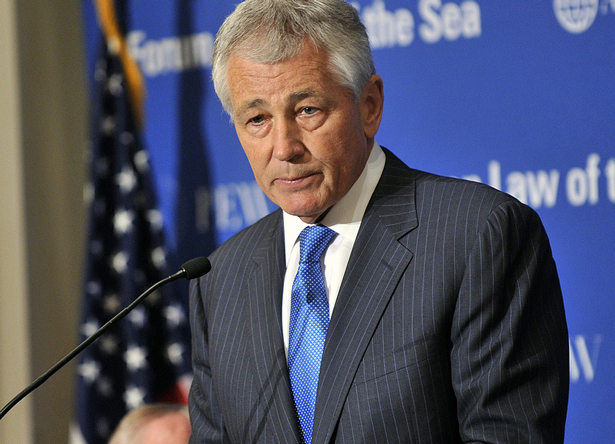 “Greening” the Military An Issue at Chuck Hagel Hearings? ECSP Senior Advisor and Ohio University Professor Geoff Dabelko appeared on Marketplace yesterday to comment on Defense Secretary Nominee Chuck Hagel’s confirmation hearings and whether the Pentagon’s pursuit of renewable energy and other “green” technologies might enter the discussion. Though the relative cost and performance of biofuels versus conventional fuels is often the biggest topic of debate this arena, Dabelko said that the U.S. military’s efforts are not just about fuel. “It’s even what paint you put on the hulls because it lasts longer, goes through the water faster, these kinds of things,” Dabelko told Nancy Marshall-Genzer. And it’s not just about being more environmentally friendly either. Improving efficiency, in everything from air conditioning and electronics to vehicle engines, also means fewer fuel convoys, which are frequent targets of attack, said Andrew Holland, a former Hagel aid now with the American Security Project. More efficient engines can also improve the range vehicles of all types and electric or hybrid engines can be quieter than their conventional counterparts. We in the Defense Department have a role to play here – not solely because we should be good stewards of our environment and our scarce resources but also because there is a strategic imperative for us to reduce risk, improve efficiencies, and preserve our freedom of action whenever we can. For more on the U.S. military’s efforts to become more efficient and use less petroleum, see the Navy’s Great Green Fleet site, the Office of the Assistant Secretary of Defense for Operational Energy, Andrew Holland’s work at the American Security Project as well as reports from the Center for a New American Security and CNA. Audio Credit: Marketplace/American Public Media; Photo: The U.S. Secretary of Defense’s flickr account. Topics: biofuels, conflict, energy, environment, media, military, oil, security, U.S.